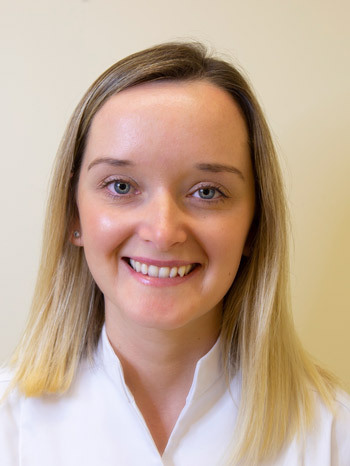 Michaela is head podiatrist with 13 plus years’ experience having graduated from University of Ulster in 2006 with 2:1 honours Podiatry degree. She has a wealth of knowledge regarding lower limb and foot complications with an interest in nail surgery, routine podiatry and toe nail reconstruction, whereby a resin is layered onto the damaged/infected nail to create a new flexible nail which lasts 4 – 6 weeks. Michaela keeps up to date with the latest training and is qualified to use Acupuncture for Podiatry which treats a vast range of chronic and acute lower limb problems.